Riverdale “Chapter Ten: The Lost Weekend” Photos – with Molly Ringwald! 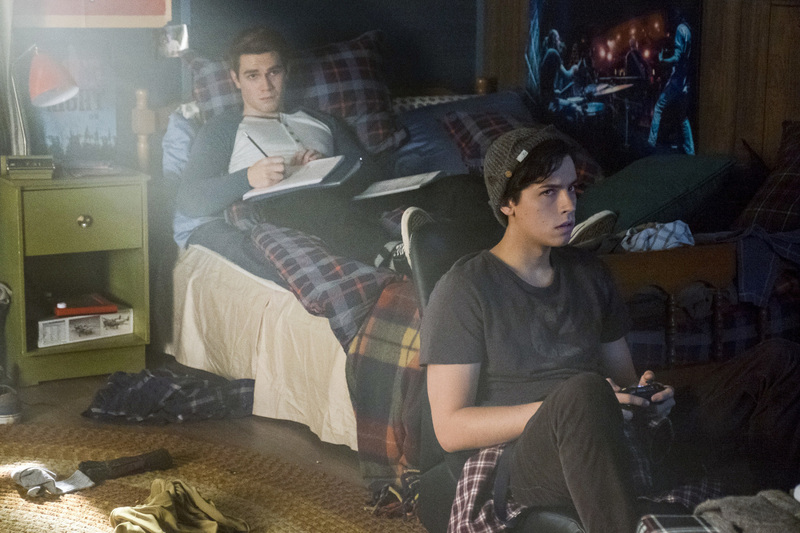 The CW has now released some photos to promote “Chapter Ten: The Lost Weekend” which happens to be the Thursday, April 13 episode of Riverdale. Molly Ringwald appears as Archie’s mom! Here’s how they describe it; the photos follow below. TRUE FEELINGS — GUEST STARRING MOLLY RINGWALD — When Fred (Luke Perry) decides to finalize the divorce with Archie’s mother Mary (guest star Molly Ringwald), Archie (KJ Apa) hides his true feelings. 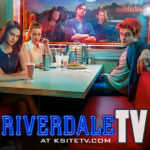 Archie tries to win Valerie (guest star Hayley Law) back with a romantic evening, however, Betty (Lili Reinhart) hijacks his plans when she decides to throw Jughead (Cole Sprouse) a surprise birthday party. Once Cheryl (Madelaine Petsch) learns of the party, she decides to make it interesting and things quickly get out of control. Meanwhile, Veronica (Camila Mendes) contemplates whether she should participate in the deposition to help get her Dad released. Madchen Amick and Marishol Nichols also star. Dawn Wilkinson directed the episode written by Britta Lundin & Brian E. Paterson (#110). Original airdate 4/13/2017.